For the lover of Volkswagens, photography, or both, this elegant little book includes many wonderful photographs that document aspects of a Volkswagen Beetle factory. The black-and-white photographs are rich in formal and journalistic integrity. Texts include "The Ten Basic Laws of the Volkswagen Factory." 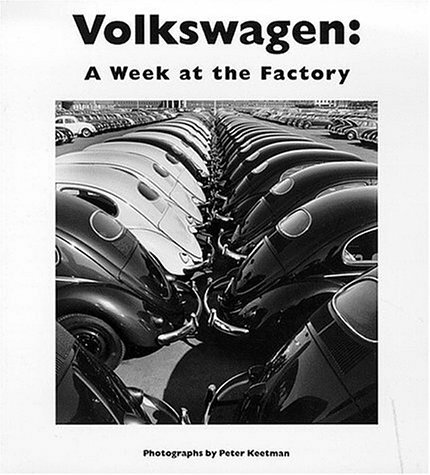 and "The Volkswagen Factory after the Second World War."